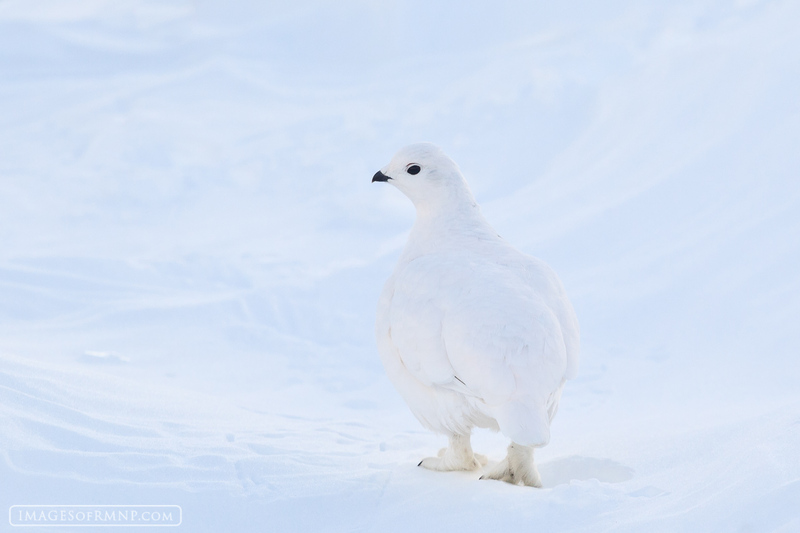 A ptarmigan keeps a close watch on this strange photographer while trying to blend in to its surroundings. Last night while hiking on Flattop Mountain in Rocky Mountain National Park I came across a flock of ptarmigan. These are birds that spend most of their time in the inhospitable area near treeline on our mountains. In the summer they have brown and gray feathers that blend in with the boulders and in the winter they put on a beautiful white coat which hides them in the snow.